On June 27th 2003, the career of aspiring actor Greg Sestero was changed forever with the release of The Room. The bizarre, terrible but captivating film, the So Bad It’s Good cult classic to rule them all, made improbable stars out of Greg and his co-star, director, friend and former roommate, Tommy Wiseau, with the pair frequenting screenings in LA and around the world. Years later, Greg wrote the tell-all book The Disaster Artist with Tom Bissell, and found himself on the N.Y. Times Best Sellers list. His book was a funny, fascinating and poignant look at a crazy story and the friendship behind it, proving to be strong enough to be adapted into a film that raised Greg and Tommy’s profiles higher than ever. More recently Greg turned to writing a screenplay, resulting in Best F(r)iends, described as “a two-volume cinematic ‘saga’ that promises to interweave mystery, intrigue, and more than a few dark laughs”. 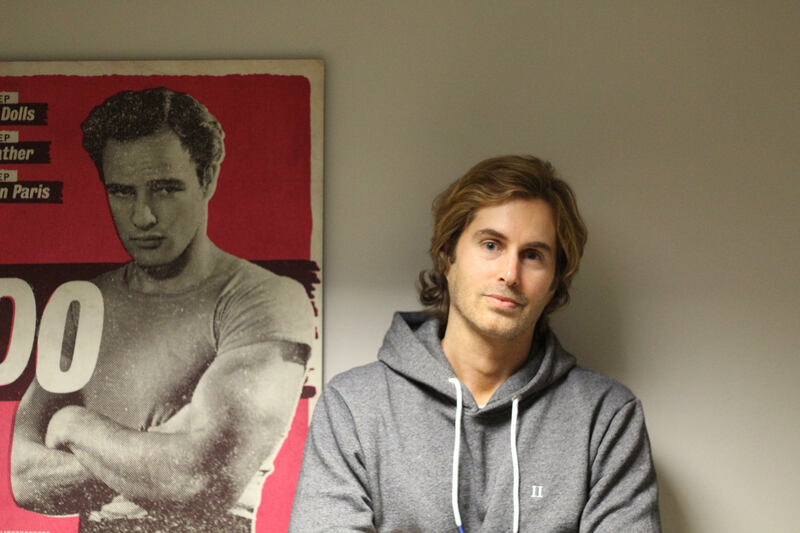 Before screening he and Tommy’s latest film at the Light House Cinema this past weekend, Greg spoke with Film In Dublin about some of his Movie Memories, his experiences as a writer and of course, about Tommy Wiseau. Ireland’s newest genre film festival is coming to Dublin from the 5th-7th May. Dublin Sci Fi Film Festival’s inaugural programme features Irish premieres of The Winter Soldier (from Blue Valentine screenwriter, Joey Curtis), The Untamed (Winner of the Venice Film Festival Silver Lion) and Creature Designers: The Frankenstein Complex; indie gems such as She’s Allergic to Cats and Embers; a range of international shorts and Sci-Fi classics such as Barbarella, The Forbidden Planet and a very special 30th anniversary screening of The Running Man. Special Q&A screenings of Lady Macbeth will be held in Cinema Killarney on the 22nd of April and Light House Cinema Dublin on the 28th of April to mark the film’s Irish release. The only connection to the Shakespearean figure seems to be murder. Strange Occurrences in a Small Irish Village is the latest documentary from Aoife Kelleher, Director of the award winning One Million Dubliners. The small village in question is Knock, Co Mayo. One dark evening in August of 1879 this rural Irish town was host to an apparition of none other than the Virgin Mary herself. It is said that she appeared outside the local parish church, along with Saint Joseph, Saint John, a host of angels, and the Lamb of God, for a period of up to two hours. Multiple passers-by would claim to have witnessed the vision. And so, after a series of inquiries into the occurrence, the site was declared a Marian Shrine by the Catholic Church. Every Monday, Film In Dublin brings you the highlights of the week ahead in Dublin cinemas. Festivals, screenings, premieres, quizzes or even a showing of some opera, get ready to fill up your day planners. You can’t do it all but with our guide you’ll never have nothing to do. Tickets are available now for GAZE, Dublin’s long-running International LGBT Film Festival. The festival’s roots go back a long way, beginning at a time when homosexuality was still illegal in Ireland and in the years since it has had an important role in showcasing the work of gay artists in cinema. This year be the tenth GAZE since the Dublin Lesbian and Gay Film Festival underwent a name change in 2007 and with a selection of films both from Ireland and around the world it promises to be a great long weekend for film fans and one of the biggest LGBTQ events of the year outside of Dublin Pride.